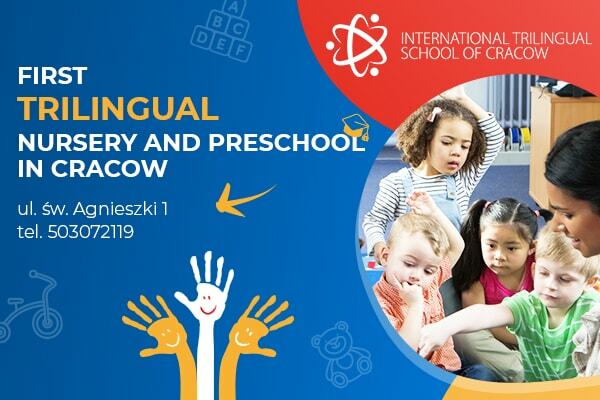 The ISTW international pre-school invites children aged 3 to 6 to participate in educational activities aimed at learning through playing and preparing 6-year-olds to study at a primary school in one of the selected educational systems (British, American, French, Finnish, IB or Polish). The main goal of pre-school education is to prepare the child for a seamless transition to the next stage of education in primary school. Children develop social, emotional, cognitive, school and language skills that will enable them to start the next educational stage. We teach children through play, working out routines of everyday life and the skills of small and large motor skills that are so important when educating the first school skills: reading and writing. Children who attended our nursery in a natural way continue the trilingual education, where a language is a tool, not an end in itself (we do not conduct classes aimed at learning a language torn off from the rest of pre-school classes). A language is still a tool for communicating with other children and the teacher during classes. Children who come to us at the pre-school stage have a chance to learn a language similar to a native speaker, although adaptation to a new environment, which usually has been monolingual at home, is usually a process that lasts longer than at the nursery education stage. Nevertheless, it is the so-called “Last bell” for those parents who are planning a multilingual education for their children.